Julie Nelson Davis teaches the arts of East Asia from 1600 to the present, with a focus on Japan. Professor Davis received her B.A. from Reed College, studied in Japan as a Monbushō fellow at the Osaka University of Foreign Languages and at Gakushūin University, and completed her Ph.D at the University of Washington. Professor Davis has held the Abe Yoshishige Fellowship at Gakushūin University and the Robert and Lisa Sainsbury Fellowship at the Sainsbury Institute for the Study of Japanese Arts and Cultures. Her research has been further supported by the Weiler Family Dean’s Leave, the University Research Foundation, the Northeast Asia Council of the Association for Asian Studies, the Penn Humanities Forum, and the Center for East Asian Studies, among others. Davis also received the Trustees' Council of Penn Women's 25th Anniversary Award for Excellence in Advising in 2012 and was the Kyoto Consortium for Japanese Studies Visiting Professor in Autumn 2014. She is the Director of the newly formed Penn Forum on Japan. In 2016-2017 Davis is a Senior Research Fellow at the Freer Gallery of Art and Arthur M. Sackler Gallery at the Smithsonian. Professor Davis’s research focuses on Ukiyo-e, the “images of the floating world,” and the arts of the Tokugawa period (1615-1868). 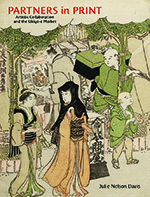 Her most recent book, Partners in Print: Artistic Networks and Ukiyo-e Market, was published by the University of Hawai’i Press in January 2015. Her next book, Ukiyo-e in Context, is under advance contract. She is currently guest curator for an exhibition on Kitagawa Utamaro at the Freer and Sackler Galleries opening in April 2017. 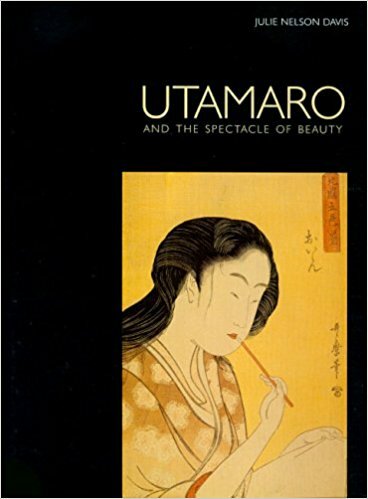 Previous publications include Utamaro and the Spectacle of Beauty (Reaktion Books and the University of Hawai’i Press, 2007); an essay on Utamaro’s Poem of the Pillow in What Makes a Masterpiece? (2010); a study of the influential ukiyo-e publisher, Tsutaya Jûzaburô in Designed for Pleasure: The World of Edo Japan in Prints and Paintings, 1680 – 1860 (Asia Society, 2008), an analysis of a painting by Teisai Hokuba in the Japanese art history journal, Kokka (2007), an overview essay on Utamaro and his contemporaries in The Hotei Encyclopedia of Japanese Woodblock Prints (Hotei Books, 2005), and an article on Utamaro and the status of the ukiyo-e artist in the anthology The Artist as Professional in Japan (Stanford University Press, 2004), among others. Special projects at Penn have included co-curating Dramatic Impressions: Japanese Theatre Prints from the Gilbert Luber Collection at the Arthur Ross Gallery in 2006, site seminars at the Venice Biennale, and others. Professor Davis worked with a group of graduate and undergraduate students on the exhibition, “A Sense of Place: Modern Japanese Prints,” held at Ross Gallery April 9 through June 21, 2015, featuring works selected from the Philadelphia Museum of Art, the Kislak Center for Special Collections, Rare Books and Manuscripts, and private collections. Davis is also working with students on an online catalogue of Japanes prints in the Kislak Center here at Penn.